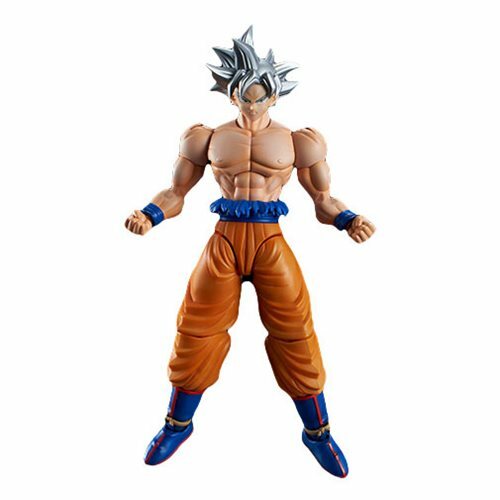 Goku's most powerful state, Ultra Instinct, joints the Figure-rise Standard line up of model kits! 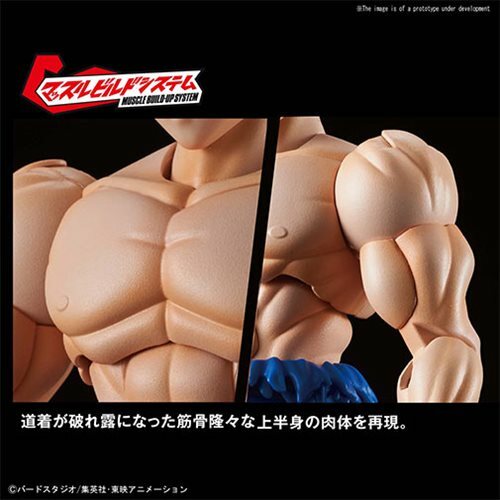 His extremely muscular body under his Gi has been faithfully recreated along with the shredded uniform that flaps above his waist belt. 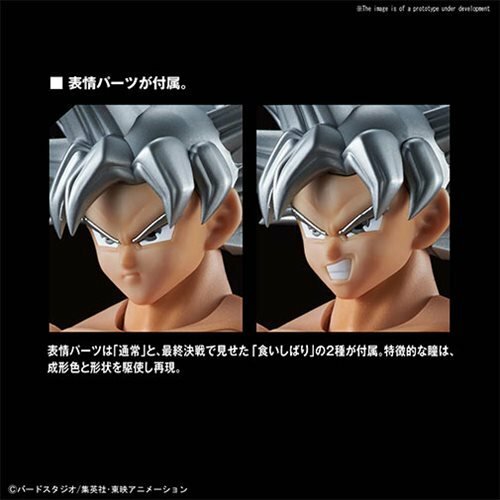 The iconic silver hair and face are molded in multiple sections of plastic that reduce the need for painting but still allow for a sharp sculpt. 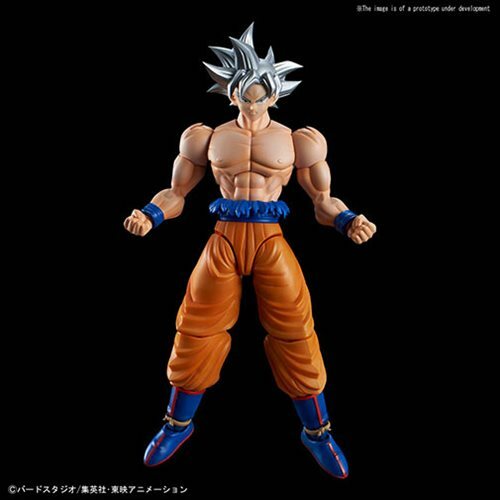 The Dragon Ball Super Son Goku Ultra Instinct Figure-rise Standard Model Kit includes multiple hand parts, interchangeable faces such as the clenched teeth expression in his fight with Jiren, and Kamehameha effect parts, 7x runner, sticker, and instruction manual. Measures about 6-inches tall.